So, how safe IS home birth? According to various studies, home birth is as safe as or safer than hospital for healthy, low risk women experiencing low risk pregnancies. Additionally, many women express more satisfaction with their experience when birthing at home compared to birthing in the hospital. An excellent guide to the available literature about home birth safety can be found here. I am pregnant, how do I get started? Start with contacting Amy to set up a free consultation in Worland. During the consultation you will have time to ask questions and get a feel for the type of care Amy can provide. If the consultation goes well and you would like to start care, then an appointment would be made for your first prenatal visit. What does prenatal care look like? Through 28 weeks in pregnancy appointments are scheduled every 4 weeks. After 28 weeks you would be seeing Amy every 2 weeks until you reach 36 weeks in your pregnancy, and after that weekly visits are scheduled until you deliver. Amy can refer you for ultrasound and lab work as needed. Amy has office hours in Worland, and the majority of prenatal care is done in the office. At least 1 prenatal appointment will be scheduled in your home before the delivery, usually around 36 weeks. Appointments generally last 45 minutes to an hour. When is it safe to have a home birth? In Wyoming, state legislation permits midwives to deliver babies at home after a woman reaches 37 weeks in her pregnancy. Before 37 weeks, a baby is considered to be premature and can have issues breathing after birth. If labor contractions start or your water breaks before 37 weeks, we would have to go to the hospital for the delivery. Licensed midwives are also permitted to deliver babies at home until a woman reaches 42 weeks in her pregnancy. Most women will not go 2 weeks over their due dates, but some do. There are many things Amy can try to help labor start naturally. If labor doesn’t start by 42 weeks in the pregnancy, Amy will have to transfer your care to a doctor. Most of the time with healthy, low risk pregnant women, the birth of a baby goes quite smoothly. However, that does not guarantee that complications never arise. Many of the common complications that can happen during delivery midwives can manage at home. Midwives bring a variety of medications and equipment to the birth to manage complications. Sometimes during the labor midwives can foresee complications coming, and in these cases transporting to the hospital for the delivery can be the safer option. Midwives are also set up to suture perineal lacerations after the birth if needed. What kind of care do I get after the birth? After the delivery Amy will stay around 3 hours with the new family. She monitors both mom and baby as they adjust after the birth, assists with breastfeeding, performs a newborn exam, and ensures the whole family is well cared for. Amy typically returns to her client’s home within 72 hours after birth and again one week after birth to check in with both mom and baby. A six week visit for mom and baby is typically scheduled at the office. I have health insurance. Can Amy bill my insurance for her services? Amy is able to bill most insurance companies for her services with the help of her insurance biller. Unfortunately, Amy is not able to bill Tricare or Wyoming Medicaid. If you’re insured by either or these insurances ask Amy about discounts available to you. How do I get a birth certificate when I birth at home? Within a week of the birth, Amy will register a birth certificate with the state of Wyoming. After the birth certificate is registered, parents can send in a request to the department of vital statistics for a copy of their child’s birth certificate. How far is Amy willing to travel to attend home births? Amy primarily attends births in the Big Horn Basin, though she is willing to travel to Riverton, Sheridan, Casper and Gillette. Many women feel drawn to water for labor and birth. Being immersed in water provides a woman with a feeling of weightlessness and allows her to relax completely between contractions, and sometimes even during contractions. The effect of water on the discomforts of labor is so great that birth pools have become known as the midwife’s epidural. Many times, once a woman gets into a birth pool, it is difficult to convince her to get out. When babies are born in the water, their transition to extrauterine life is easier. They have lived in amniotic fluid for their whole lives, and water birth can be seen as an extension of that. Babies received oxygenated blood through their umbilical cord from the placenta, and they do not breathe under water for a variety of reasons. Babies are born mildly hypoxic, which causes them to swallow instead of breathe or gasp. The dive reflex is also responsible for preventing babies from breathing under water. The dive reflex forces the baby to swallow anything which hits the back of its throat instead of inhaling it. Babies are usually brought out of the water within seconds of the birth, and placed on their mother’s chest. Amy is comfortable assisting women during delivery in the water. She uses a waterproof Doppler to monitor the baby while the mother is submerged. Birth tubs can be rented from Amy for a nominal fee. Yes. In the US, there are Certified Nurse Midwives (CNMs), Certified Professional Midwives (CPMs), and Direct Entry Midwives. CNMs are nurses who go on to get a graduate degree in Midwifery. CPMs are direct entry midwives who are trained through the apprenticeship model and go on to take and pass a national midwifery examination. Direct Entry Midwives usually are trained through the apprenticeship model but choose not to sit for a national midwifery examination. 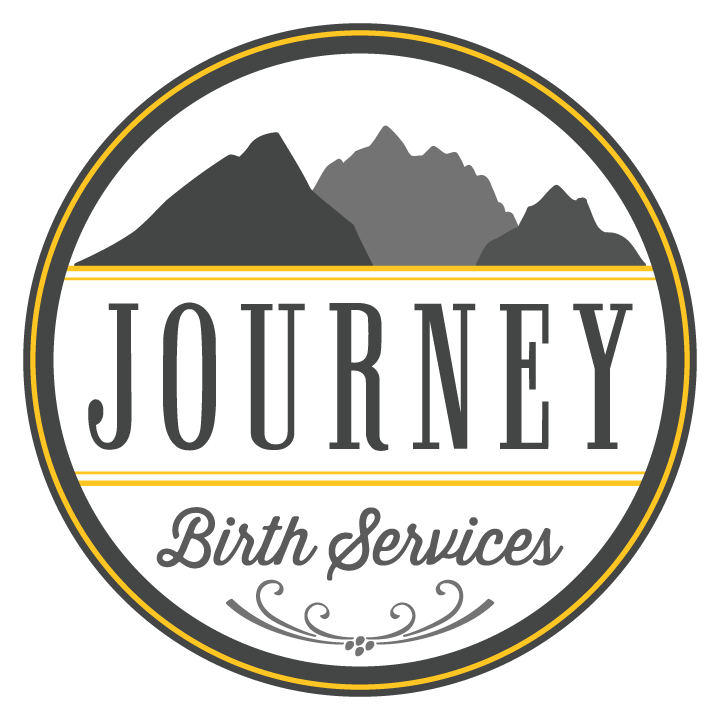 Amy is a Certified Professional Midwife and a Licensed Midwife in the state of Wyoming.